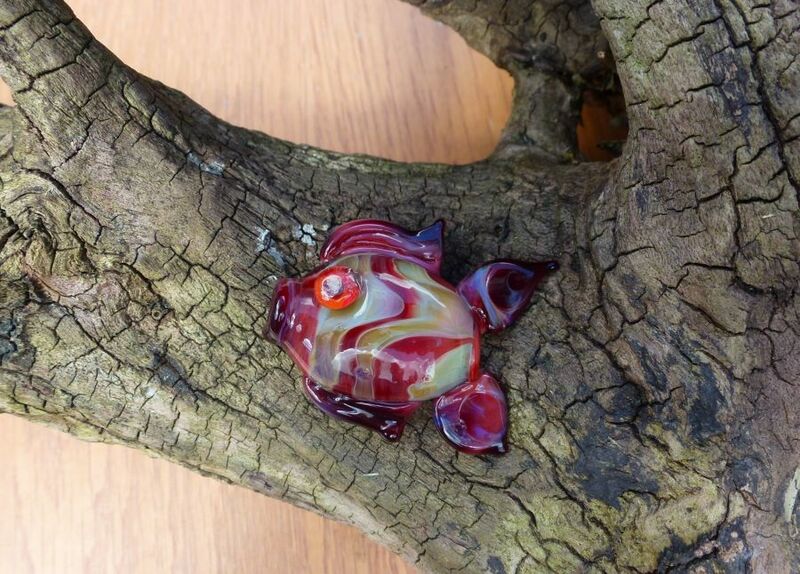 Rogan Glass is proud to bring you unique hand blown beads made from hand pulled tubing created at the Rogan Glass studio at The Gower Heritage Center Gower, Wales UK. A lovely hollow blown fish bead/ pendant where the chain passes through the mouth and emerges between the tail fins. Please remember to add a chain or thong if required.